Bass Player is a consumer brand intended for individuals with focused interest in bass guitar, including gear, technique and live performance. Guitar World is a progressive monthly publication for all guitar players – professional, semiprofessional, amateurs and hobbyists, as well as for fans of the world of guitar. Straus News publishes 17 local weekly newspapers and associated websites in contiguous towns in New York, New Jersey and Pennsylvania. The circulation area covers Manhattan and Orange County in New York, Sussex and Passaic Counties in New Jersey, and Pike County in Pennsylvania. The Fort Worth Weekly provides a vibrant alternative to the city's often-timid daily, with award-winning and irreverent reporters who keep readers well informed and the powers-that-be worried. CE Pro is the leading print publication and online media business for custom installers in the residential market. These professionals design, install and service the connected home, including audio, video, security, home automation, lighting controls, motorized shades, energy management, home networks and related systems. Commercial Integrator is a B2B providing analytical business information, tips and strategies for commercially-focused integration and consulting firms in the small and midsize business (SMB) markets. Truck Parts & Service is considered the industry authority on aftermarket parts, independent garage repair facilities and parts distributors. During radio's golden age, its influence was so powerful that advertisers quickly grasped the opportunity to speak directly to a captivated audience. In 2018, podcasts will be following suit, quickly asserting themselves as the most intimate platform du jour. Today, 40% of Americans over age 12 have tuned into a podcast, and 24% are regular listeners, according to a study done by Edison Research in partnership with Triton Digital. Within this next-generation form of media, old-school radio-style advertising tactics have proven successful: a survey from Midroll found that 61% of podcast listeners bought something advertised on a podcast. Podcasts now have one of the highest cost-per-impression (CPM) rates, notes Drake Baer in Business Insider. So what lessons can seasoned advertisers learn from the burgeoning field of podcast advertising? 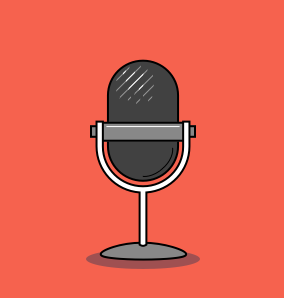 Podcasts are often focused on a specific topic and have cultivated a small but mighty following, allowing advertisers to collect highly targeted data from each podcast and speak directly to a specified audience. Based on the host, content and reviews of a podcast, advertisers can make predictions regarding who's tuning in. Take NPR's "How I Built This" with Guy Raz, a show about entrepreneurs and how they built their businesses. We can assume listeners are likely younger, educated and tech-savvy. And unlike TV, online or in-app audiences, podcast listeners have gone out of their way to download and consume the content and tend not to tune out when an ad comes on. Even more so, since listeners are often otherwise engaged while listening – driving or exercising, for example – they're less likely to stop what they're doing and fast-forward through an ad. Listeners are both a more captive and captivated audience. Podcast ads usually feel natural, especially when read by the host of the show. Many are delivered in a particularly conversational tone and involve personal stories about the product or service, making them seem more like an anecdote or recommendation than an advertisement. Podcasts ads are also often native, seamlessly integrated into an episode. Take, for example, entertainment and celebrity gossip podcasts whose hosts weave in personal recommendations for beauty products, subscription boxes, cooking services, and more. These ads often fit perfectly within the podcast's regular, non-promotional content, pinpointed for the audience. Podcast listeners are true fans. Hosts develop genuine followings, becoming influencers by virtue of being the voice that delivers the content listeners crave day to day, week to week. This loyalty fosters long-term exposure, as 88% of podcast listeners tune in to most or all episodes of their chosen podcasts, according to Midroll, and will travel to attend live shows or tour gatherings. Fans are often so devoted that they're even willing to donate money. Listeners of the show "99% Invisible," for example, raised almost $600,000 in three years to help pay for the show's production expenses, according to Cecelia Kang in the Washington Post. Despite the plethora of media outlets and the almost-science fiction level of today's technology, it seems that old-school audio advertisements are back. Podcasts have allowed the host-read audio ad to make a comeback, and it's succeeding. Seasoned advertisers can draw from this success, implementing the value of self-selected and pinpointed audiences, intuitive or native ads, while piggy-backing on the loyalty and intimacy that hosts and other trusted sources engender. A proposed duty on newsprint imported from Canada could prove deadly for struggling papers across the United States. Newsprint prices have been steadily increasing. They jumped in October to a three-year high. The duty would only compound the situation. The proposed duty came after North Pacific Paper Co. logged a trade complaint against Canadian suppliers of paper last year, alleging the government subsidizes the industry, giving it an unfair advantage compared to domestic paper producers. 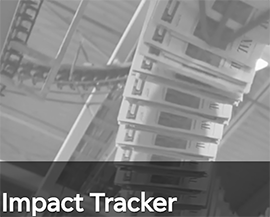 The U.S. government began its investigation, and a January announcement from the U.S. Department of Commerce is all but likely to see duties of 15% to 25% placed on paper products. 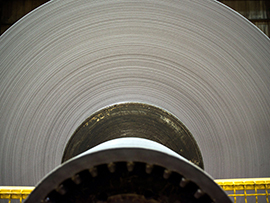 Canada is the top provider of newsprint in the world, and the U.S. is its biggest market. In an industry locked in a precarious position, newspaper publishers are preparing for the worst, and some expect to be forced to completely close up shop. Local journalism is the lifeblood of communities the world over, and it is also the most vulnerable to even the smallest budget adjustments. While larger papers count the cost of their print paper as a small fraction of their operating budget, small, local papers have been placing razor-sharp focus on their budgets for decades. Small pubs have seen subscription and advertising monies decline. A story in the Financial Post noted the Idaho Press-Tribune is reported to have pulled back publishing to six days a week in order to save money. When the town's Macy's department store closed, the newspaper took a big hit in lost advertising dollars. That meant the publication had to find further ways to save money. The duty will make production of small titles like the Press-Tribune nearly impossible. The current administration's barrage of attacks on the press has been well documented over the last year. But this twist – throttling the required materials to actually produce the news – is a surreal and sobering reminder that no one aspect of maintaining a free press can be ignored. Many publishers are looking to outside sources for funding through foundations, investors and subscriptions. In addition to analyzing interest in their work through pageviews, completion rates, stickiness and other metrics, companies and newsrooms need to show how much of a difference is being made by their work across channels. Verified has updated its guidelines for publications using unlimited-access programs such as the Texture app from Next Issue Media. In the past, these copies were categorized as Paid Digital Single Copy Sales. With the new unlimited access category, publishers can now report these copies as paid digital subscription sales, not single copy sales. For the audit, publishers will need to prove the reader paid a minimum of $0.01 for the unlimited access program. Additionally, only unique opens are qualified as paid digital subscriptions. Unique opens are readers who requested a particular magazine and opened an issue. Due to the proprietary information provided by third-party vendors, these paid digital subscriptions may or may not be included in the geographic breakdown on the audit reports and publisher's statements. If you have any questions regarding unlimited access circulation, please contact Verified at 415-461-6006.